Less than 24 hours to the rescheduled governorship primaries of the APC in Lagos State, Sen. Solomon Adeola (APC, Lagos West), has joined in declaring support for Mr. Babajide Sanwo-Olu, in his bid to fly the party’s flag in the 2019 Lagos State governorship election. Adeola’s position was contained in a statement by his media adviser, Chief Kayode Odunaro, on Monday. “Let everyone who has ears know that I am for Babajide Sanwo-olu for governor. “The criticism against Sanwo-olu is just a distraction. “The leaders of the party have spoken and we have aligned ourselves with their decision,” Adeola, who is the chairman of the Senate Committee on Local Content, was quoted as saying. The senator, according to the statement, held an emergency meeting with his supporters in his Ikeja office, saying his decision was informed by the overwhelming wishes of his constituents. He said it was also in line with the wishes of leaders of the party in his senatorial district and Lagos State. The senator said he is a beneficiary of the established leadership progression in the progressive fold of APC and he will always abide by the dictates of the party. “As we approach the 2019 General Election we must carry all our members along. “Whatever the party directs is what we are going to do and I am aligning myself with the wishes of my followers who have all bought into the idea and vision of fielding Sanwo-Olu as the candidate of APC in Lagos State come 2019,” he said. 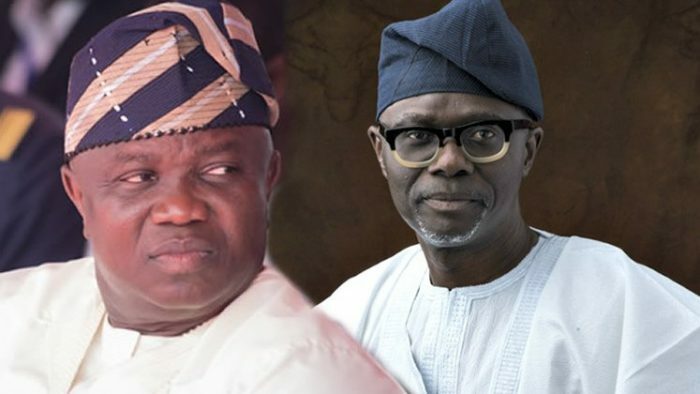 Adeola urged all his followers and supporters to vote for Sanwo-Olu and the party’s position in all the other primaries as they become known going forward. He said that it was clear that Lagos State remains solidly “on the side of our National Leader, Asiwaju Bola Tinubu and in the forefront of the progressive fold of APC in Nigeria”. The governorship primary of the party in Lagos, earlier fixed for Monday, has been shifted to Tuesday.